Renew Medical Aesthetics, created in 2011, has become the leader in skin care and groundbreaking non-surgical cosmetic procedures in Kansas. 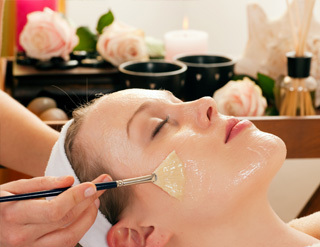 Our rejuvenation and anti-aging treatments are scientifically tested and proven safe. As one of the few women-owned businesses in the area, we are uniquely positioned to understand each client's individual needs in order to establish the best treatment. For maximum safety, all our procedures are performed by a medical doctor, instead of nurse injectors. Medical grade chemical peels exfoliate the damaged outer layers of the skin, increasing cellular turnover and stimulating collagen renewal, leaving you with healthier, smoother skin. A chemical peel is one of the least invasive ways to refresh your complexion and improve skin texture, tone and pigmentation. Pigment Balancing Peel - This peel is a customizable brightening treatment targeting hyperpigmentation to dramatically improve the uneven appearance of mottled skin after a series of 4 to 6 treatments. It combines high performance brightening and anti-inflammatory agents with a peeling acid solution to accelerate cell renewal and diminish diffuse and localized hyperpigmentation. Radiesse® filler $100.00 off during the month of February! Fill out an online survey after a Xeomin® treatment and get $50 off future treatments! Contact us today for your free cosmetic consultation! While we do not offer all the range of services usually found in a medical spa, we perform all of our aesthetic procedures in a comfortable and confidential manner. For maximum safety, all our procedures are performed by a medical doctor, instead of nurse injectors. We invite you to come in for a free medical cosmetic consultation and discover a world of new possibilities!